"I Like It" is a song recorded by American rapper Cardi B with Puerto Rican recording artist Bad Bunny and Colombian singer J Balvin for her debut studio album Invasion of Privacy (2018). It was released on May 25, 2018 to radio stations through Atlantic Records as the fourth single from the album. "I Like It" was written by the three performers with Jordan Thorpe, Edgar Machucha and Klenord Raphael, and produced by J. White, Tainy, Craig Kallman and Invincible. The Latin trap song comprises a trap-salsa beat, and contains a sample from "I Like It Like That", written by Tony Pabón and Manny Rodriguez, and performed by Pete Rodriguez, with Benny Bonnilla on the timbales. Its music video was filmed in Little Havana, Miami. 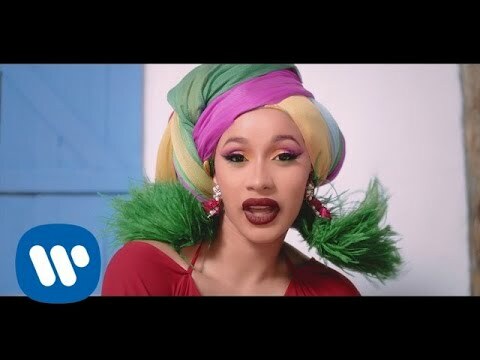 Commercially, the single topped the US Billboard Hot 100, becoming Cardi B's second number one, the most for a female rapper in the chart's history, and the first for both Bad Bunny and J Balvin. It also reached the top 10 in Canada, New Zealand, Portugal, Slovakia, Spain, Switzerland, and the United Kingdom. During the recording sessions of Invasion of Privacy, Cardi and her team were listening to beats and song ideas. The rapper was open to experiment with sounds, though she also discarded some that she felt were not right for her. Craig Kallman proposed Cardi to include a track that pays homage to her Latin heritage, to which she agreed. Kallman searched among his Latin music collection of records that he used to play when he was a DJ, and put together multiple sample ideas. Decided for Pete Rodriguez's "I Like It Like That" and "Oh That's Nice", he added J White to the production process. The sample of the former song "over a very rough instrumental" and with a Cardi verse on it was sent to musician Edgar Machuca. White and Machuca worked on the production, chopping up the sample and trying to "make the song sound better and cohesive and beef up the production." Cardi re-wrote the hook a number of times and cut vocals, eventually choosing the chorus she was most comfortable with. The three producers looped the "I Like It" part as they felt that was the catchiest part of the sample. Machucha proposed to add Bad Bunny and J Balvin to the track, with both artists contributing with their verses and ideas. Tainy and Invicible finished working on the production focusing on the instrumentals. Work on the record started in October 2017, and finished in early April 2018.